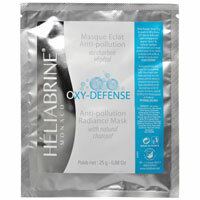 HELIABRINE Purifying Strawberry Fruity Mask: This foaming fresh mask gently revitalizes and purifies oily and asphyxiated skin. Strawberry is well known for its purifying properties. Its pulp is rich in tannins and also very rich in Vitamins A & C, Strawberry revitalizes the skin and helps improves its texture.